Located along Balestier Road, 1953 @ Tessensohn is a Mixed Development that combines both residential and commercial spaces. This city fringe development is brought to us by Oxley Amethyst Pte Ltd (Subsidiary company of Oxley’s Holdings). In 2017, Oxley Amethyst purchases a cluster of freehold properties along Balestier Road. The entire land size purchased add up to 17, 938 sq ft. The cluster of properties will be soon overhauled and be transformed to the up-and-coming 1953 @ Tessensohn. The freehold mixed development will be a 6-storey building that comes along with an attic. Out of 72 units in the development, 58 of the units are residential apartments while the remaining 14 units will be used for commercial purposes. 1953 is expected to obtain its TOP in Dec 2023. Heritage Collection – Made up of 7 retails units, 4 units of 2 Bedroom with Study, 3 Units of 4 Bedrooms and 1 unit of 1 Bedroom. Modern Collection – There will be 7 units of retails spaces, 28 units of 1 Bedroom with Study, 4 and 2 units of 3 Bedroom and 3 Bedroom with study respectively. 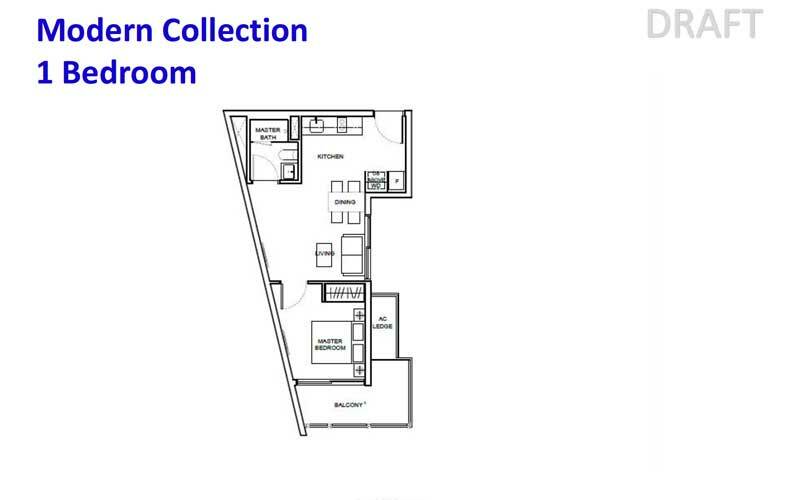 Penthouse Collection – Unit mix comprises of 2 Bedroom with a family room, 3 Bedroom, 5 Bedroom and a 5 Bedroom with a Study (1 unit for each type) and 5 units of 3 Bedroom with Family room. Part of the building will be conserved to maintain its heritage charm, there will also be refurbishment done to breathe a new life into the building. All units in the development are incorporated with Smart Home System that enhances quality and smart living. The Entertainment Deck for the residents will be at the 4thlevel. Cascading water feature, the Lantern Walk, Lap Pool, Flora Sanctuary and a Western Grill corner are all available over here. 1953 is merely five to seven minutes walk to its nearby Boon Keng and Farrer Park MRT Station (Both stations are located along North East Line). The Bendemeer MRT Station (Downtown Line) is also within a short walking distance. Strategically position next to the central of Singapore, 1953 is just a short ride away to the Central Business District and Orchard shopping paradise. Connected to Farrer Park MRT Station, there is a mega shopping mall, City Square Mall. Over here, dining and entertainment amenities and retail and groceries shopping are readily available. 1953 is a freehold development that is closed to not one but 3 MRT Stations. Being a city fringe development that comes with mixed commercial components offers ease of convenience to travelling, dining and retails amenities for residents. This is definitely one of the important factor tenants are looking at when they are searching for a place to rent. Having a healthcare institute, Connexion @ Farrer in its neighbourhood will also enhance the rental potential and capital appreciation of 1953.